Movable, long commutes between loved ones, music for motors and resonant strings is the elusive yet evocative title for the new composition by Bay Area composer Zachary James Watkins. 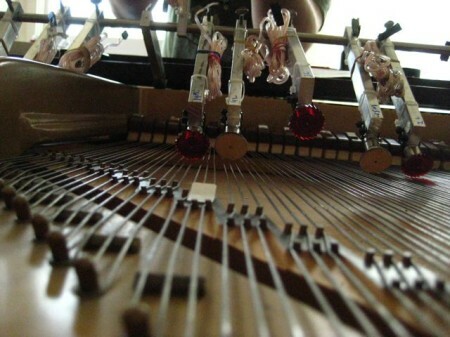 This new evening length work, premiered by Seattle pianist Tiffany Lin, is scored for retuned piano and a new mechanical extension called the Piano Monster built by NYC artist Ranjit Bhatnagar that uses 16 MIDI triggered voltage controlled motors with attached objects that resonate piano strings. Zachary James Watkins received a Subito in California grant to assist in the production of this composition.